Are you tired of the distractions of working at home? Or are you starting something new? 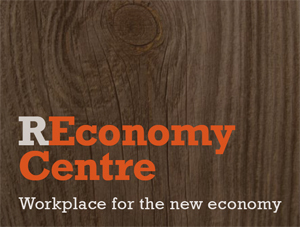 The REconomy Centre is a co-working and meeting place for ethical local enterprises, people creating new livelihoods, and community groups working for a strong, resilient and equitable economy. We also provide support for new enterprises and entrepreneurs, workshops and educational opportunities, updates on funding opportunities, access to professional networks and mentors, and much more.